posted about where she blogs from, so i decided to share as well. This all started with Chantelle at Fat Mum Slim. You can join in by telling me in the comments or you can post on instagram using the hashtag Chantelle started #whereiblog. 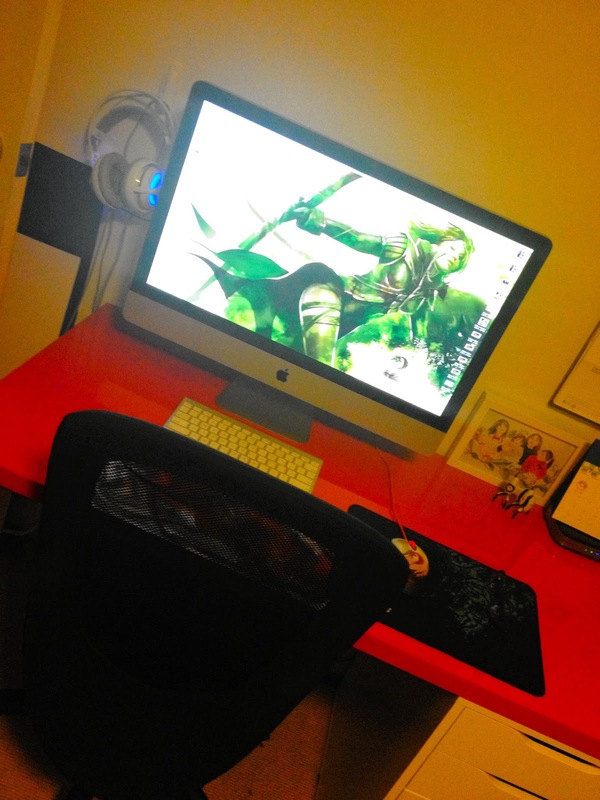 I predominately blog at my pretty red desk, which is also where i design and game. 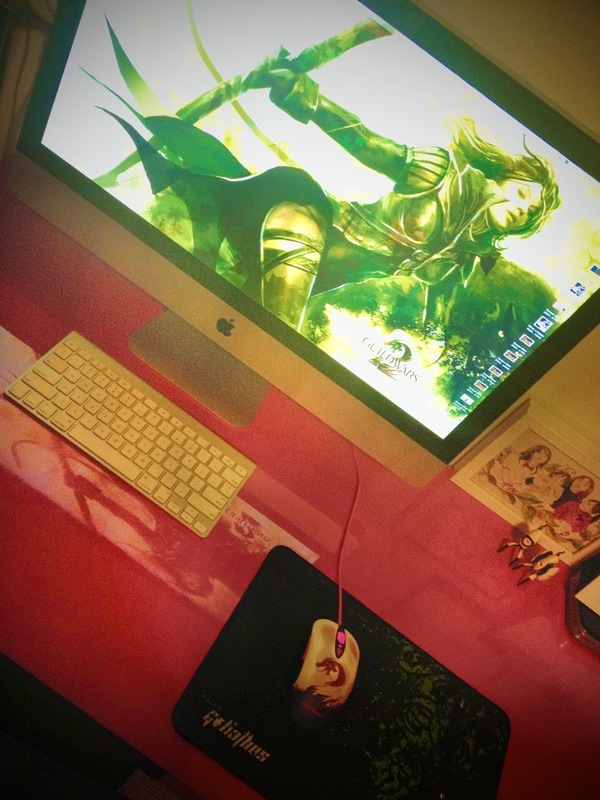 It is right next to Mon Amour's desk so when we are both gaming we are in the same room. I have been known on many occasion (like this very second in fact) to blog from work as well, in my break of course.. I know, i know i do have a very random collection of things on my desk at work. now the question is.... where do you blog from... or where do you read your blogs from? Gaaaah! 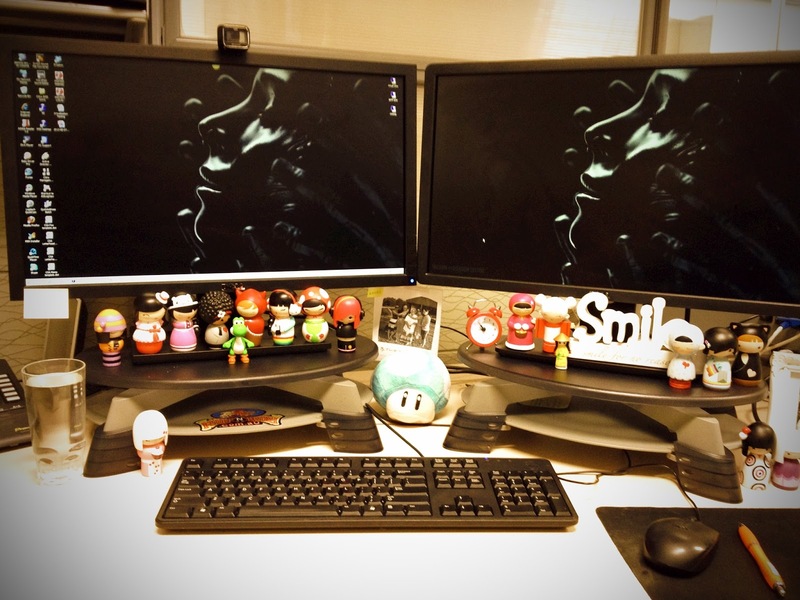 You have the cutest work desk ever. Are those momoji dolls?